We also present an exclusive range of Flat Woven PP Lightweight Fabrics to our clients as per their requirement. Our range is manufactured under the guidance of our experts and meets industry standards and norms. Our organization provides a qualitative range of Flat Woven Fabrics (Coated & Uncoated) to our clients at competitive prices. These are extensively used for packing of old clothes, lumber cloth packing textiles yarns, and making trampoline. It is also used for charging and dumping hoppers as well as upper and lower aprons. 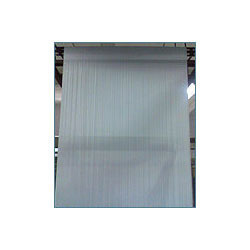 We also offer heavy flat woven fabrics, which are used for packing of heavy machinery and making FIBC U-Panel type bags. Looking for “Flat Woven PP Lightweight Fabrics”?